We hand pour these 2 x 6 pillar candles here in the U.S.A. 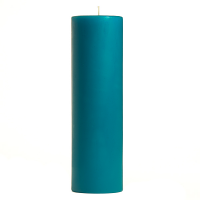 The 2 inch candles are the perfect option to use on small candle holders or when you want to add thin pillar candles into your display. 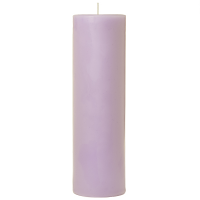 For the best results in freshening the air, burn these scented candles in small sized rooms. The candles create a little wax pool will not put off a lot of fragrance at a time but will be noticeable in smaller spaces. These scented candles should be burned on a candle holder to catch any dripping wax and protect your table surfaces from heat damage. 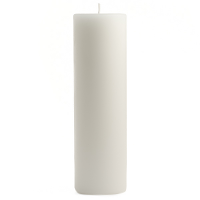 Putting these candles together with others of various sizes is an easy way to create beautiful arrangements. These small pillar candles can be used to accent centerpieces or to create a romantic ambiance on the patio. There are so many different ways to use these affordable candles .